Well.. it happened. I was told by a man (a stranger nonetheless) that I "couldn't possibly" run a business all by myself. Let me back up. I'll set the scene. I was minding my own, working hard on a client's project while sitting at a bubble tea shop. He sat next to me and began to ask me questions. You know, the type that had me not-so-subtly waving my wedding ring around in the air. And, because I need to get better about just being like "Dude, I'm trying to work, can I have some space?" I even brought up how my husband and I just moved to the area. He didn't get the hint. Oh, I'm going to study graphic design next year when I graduate. Are they hiring where you work? Cue me explaining my business to a high school age kid that not only thinks it's okay to hit on random people doing their thing at a coffee shop, but also thinks he is qualified for a job he might start to study in the future. You couldn't possibly do all that ALL by yourself. You should hire me so I can do all the things you can't. Now, I'm not going to go into detail about the rest of the conversation where I turned him down four separate times, faked a phone call to leave the coffee shop, and then how he found my business card on the bulletin board in the store and proceeded to send me messages on the LCC Facebook page. No, I'll leave it there, and talk about what this situation sparked. I was humbled by my own lack of action during the whole scenario. I was disappointed with myself for not just telling this dude to back off from the beginning and then feeling helpless enough to pretend I got a phone call just to escape the interrogation I was getting about my business. But, I also felt empowered to use this situation to start a conversation. I know that I am not the only one to have been in these types of situations. And, I also know that there are plenty of you who have had to hear those icky things that people say to you about you or your business. No matter how "well-meaning" they are, or how much they are "just trying to help," there are certain things that just demean and discredit our talents and our abilities to run a successful business. Just because we are women. So, I took to the internet to ask for others stories. To give these ladies a voice. To tell the rest of the world that this is NOT okay. These are real quotes, by real women. "You know running a business requires some math right?' I have a minor in math and run my finances for 2 business and my family's personal just fine. They honestly don't think girls can count." -Anung V.
"I just don't understand why they would ever put a woman in charge." -Alex L.
"You couldn't possibly do all that ALL by yourself" -Alex L.
"Oh, well that's cute. "- Alexandra F.
"I never get taken seriously, specifically with my photography....everyone thinks it's a hobby and they all expect photo sessions for free. It's so frustrating!!!" -Katie S.
"When someone asks to meet up over coffee and then pulls out a notebook with pages filled with questions about social media and digital strategies for their business/brand. I've actually started saying, 'It's great to see you - and while I appreciate this $5 cup of coffee, it doesn't come close to covering my hourly fee; so should you wish continue this conversation and line of questions, you need understand I will invoice you.'" -Asia R.
"A boy I turned down for a date once said to me: 'The reason you are not getting any growth with your blog, vlog and IG is because you are not really pretty or something. Give it up. Blogging is not a business.'" -Chelsea Van E.
"If you made yourself more attractive and got fixed up more often, you would make more money." -Hope E.
"Is that why you let yourself go? Because you sit behind a computer all day. You’d make more money if you were thinner." -Victoria B. "My fave is when people say, "you look really young" like girl, I can do the thing you can't, why does my age matter?" -Ariel V.
"As I'm leaving my part time job to go work (all the time, really hard) on my biz: 'Relax, it's your weekend!'" -Shaina S.
"11:00 am on a Tuesday as I sit at my computer 'So, are you still like working, or are you just like working on your own thing?'" -Linsey M.
"I'm constantly being asked when I'm getting a 'real' job." -Jamie G.
"'How's the money coming?' with that knowing look like there can't possibly be any money in it." -Violeta N.
"Are you still doing that thing?" - Terry L.
"It must be nice to be able to just "do" Facebook all day!" - Shamira A. "I love what you do!, It's such a nice hobby" -Maria L.
"'So, when are you going to get a real job?' Grrrr!" - Mamta V.
“It must be nice to stay home all day on your computer.” -Rhianon P.
"If you charge that much an hour why can't you afford ____???" -Anna S.
"When people say 'what are you doing today?' in the middle of the work week like I don't run a business" -Alex L.
"you make such cute drawings" -Anna L.
“At least you have your degree to fall back on!” - Kelly E.
"But why? You should just get a real job." -Nicole P.
"So what do you actually do?" - Ariel V.
"This totally happened to me today just having a very *nice* convo with a total stranger. Me: 'oh, you do accounting? that’s awesome, I love finance, didn’t like accounting that much' Her: 'oh, you know Jackson’s university is hiring people in finance' Thank you lady, but who said I was looking for a job?" - Geily R.
"But, when will you have time to start a family?" -Alex L.
"But don't you miss the kids?" -Hope E.
"So who watches the kids all day?" -Katie H.
"When men are aggressive and speak up, they are assertive problem-solvers; when women do it, they are unhappy, PMS-y b****" -Ruxandra L.
"You must have plenty of time; you work from home." -Jennifer Q. "At a wedding, I introduced my husband as my photography assistant. Groomsmen says 'Wait. He's YOUR assistant?!?'" 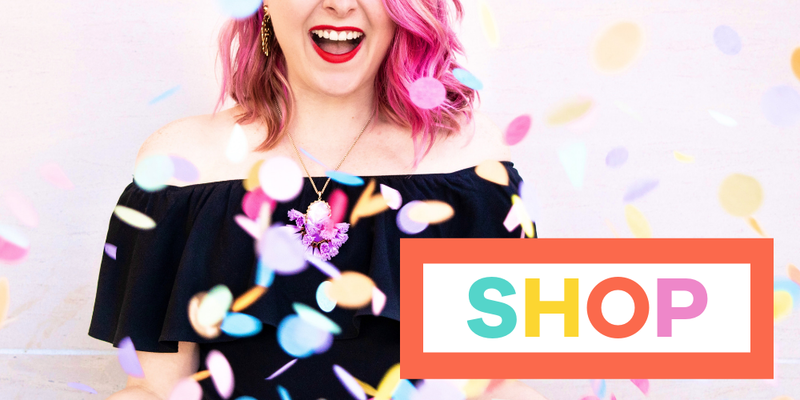 -Tracy R.
"I'm pregnant and a stranger at the grocery store once said to me, 'Oh honey, being pregnant is a full-time job on it's own. Don't stress yourself out by trying to run a business too.'" -Darla K.
Did you love the content you just devoured!? If you did, make sure you get more of it! 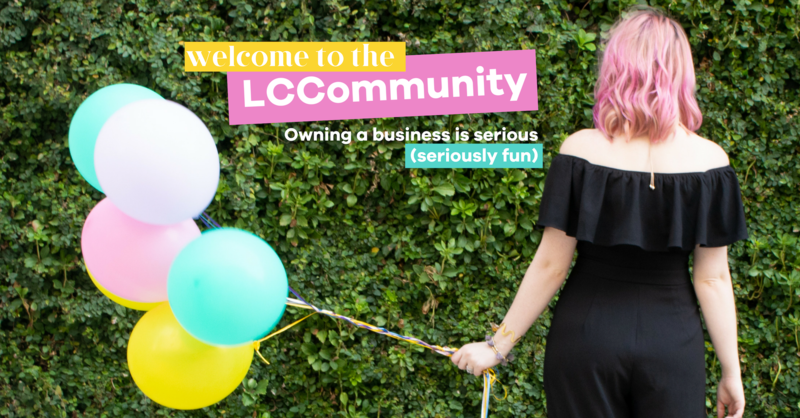 Join the totally FREE Lady and Company Community to connect with other babes in business and get exculsive access to free trainings!